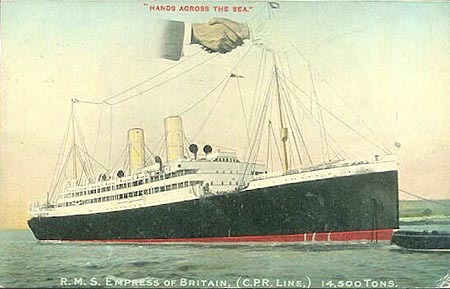 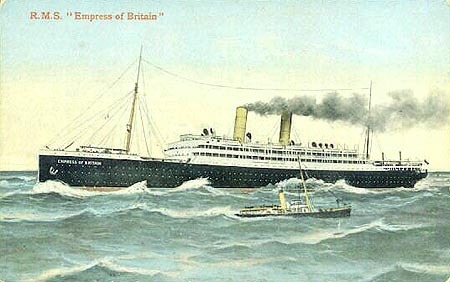 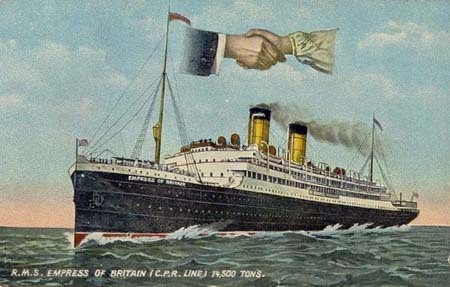 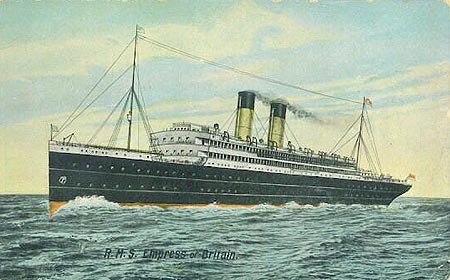 CP - Page 1 - Ocean Liners up to 1914 - this page! 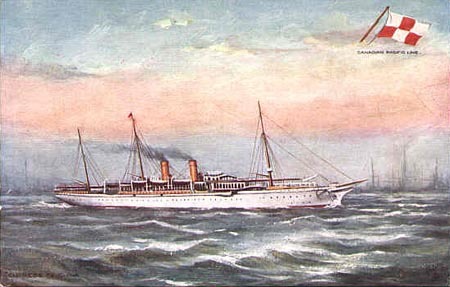 1897 purchased from Union Line, 1899 chartered to US Gov't, 1901 returned to CP, 1907 scrapped. 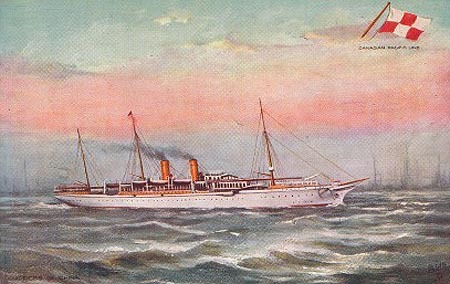 1897 purchased from Union Line, 1899 chartered to US Government, 1900 returned to CP, 1908 scrapped after grounding damage. 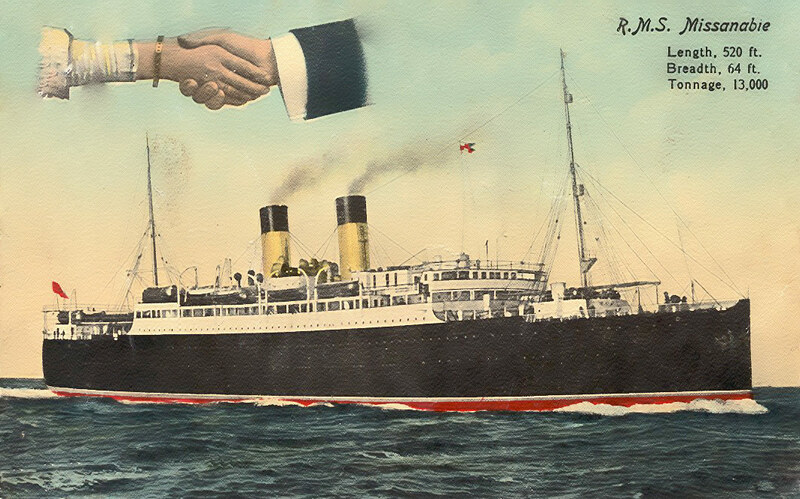 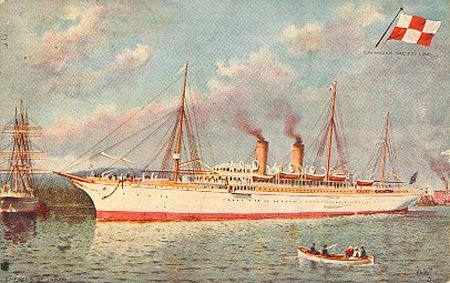 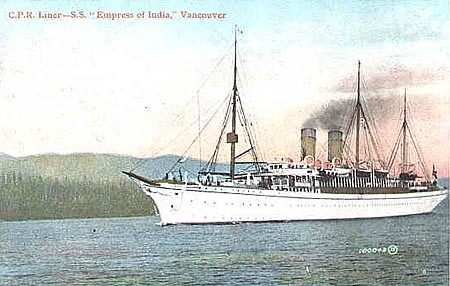 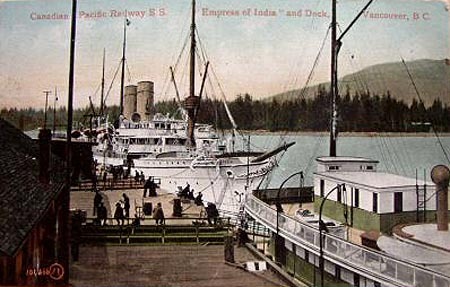 1914 sold to Maharajah of Gwalior, converted to hospital ship, renamed Loyalty. 1914 converted to Armed Merchant Cruiser, 1915 returned to owner, 1922 laid up. 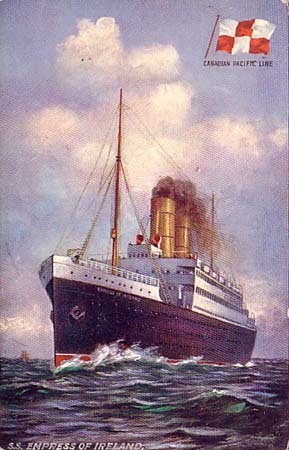 1926 scrapped. 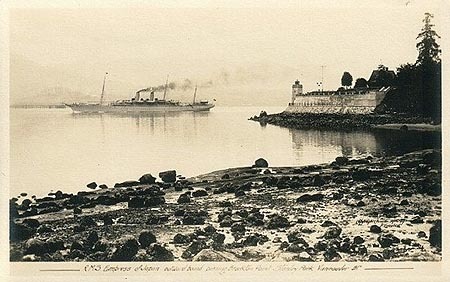 1911 wrecked in fog in Tokyo Bay. 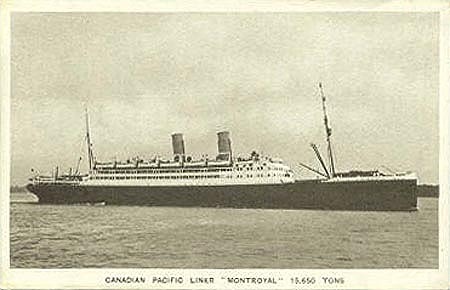 1914 converted to Armed Merchant Cruiser, 1915 converted to troopship, 1919 returned to owners, 1924 renamed Montroyal, 1930 scrapped. 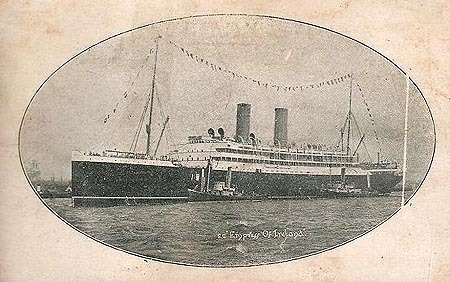 ex-Heliopolis, 1917 purchased from Harris & Dixon renamed Methven, 1923 renamed Borden, 1926 sold to Kulukundis, Greece renamed Perseus. 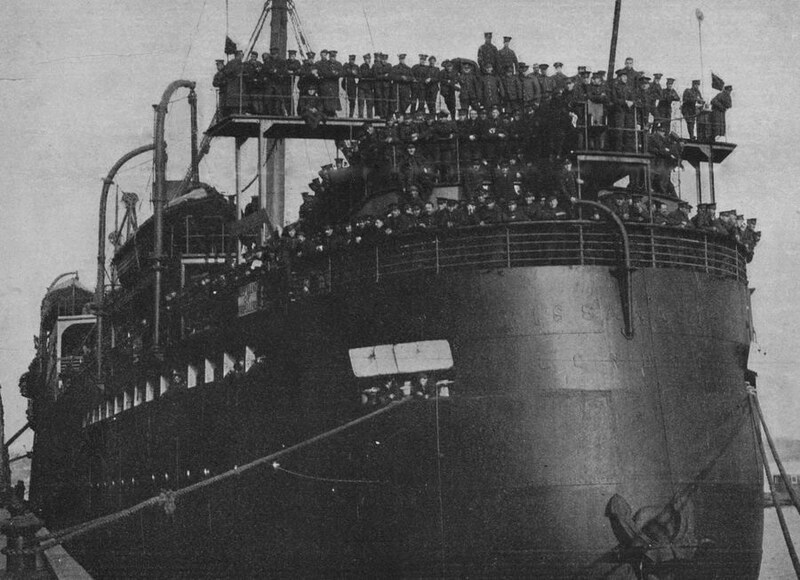 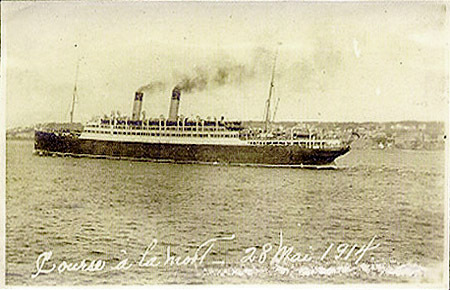 1914 sunk in collision with Storstad in St. Lawrence River, with a loss of 1,024 lives. 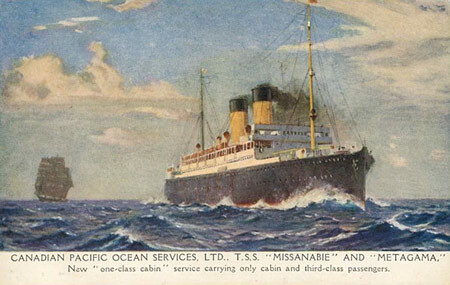 1923 renamed Bedwyn, 1923 renamed Balfour, 1928 sold to Lyle SS Co. renamed Cape Verde. 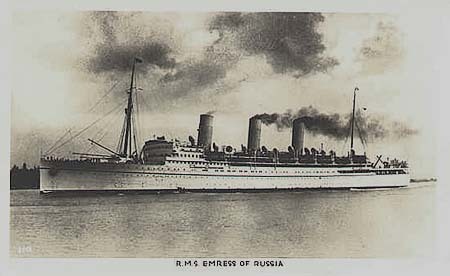 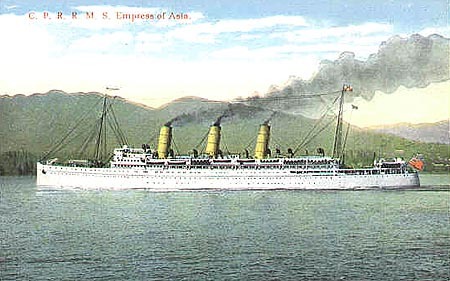 1914 converted to Armed Merchant Cruiser, 1916 returned to owners, 1941 converted to troopship, 1942 bombed and sunk at Singapore. 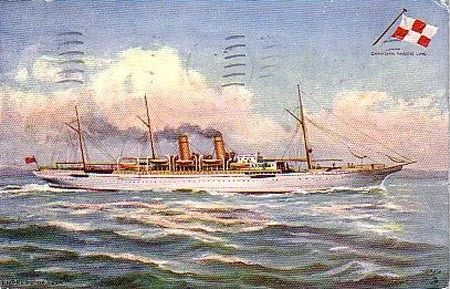 1914 converted to Armed Merchant Cruiser, 1916 returned to owners, 1940 converted to troopship, 1945 destroyed by fire at Barrow during refit. 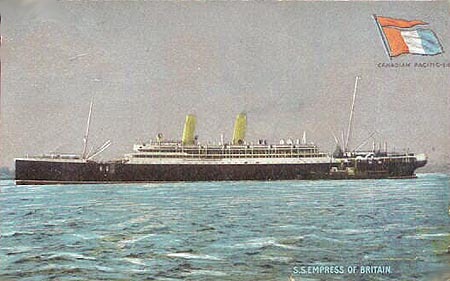 ex-Franktor , 1915 purchased from Palace Shipping Co renamed Mattawa, 1923 renamed Berwyn, 1928 sold to Kintyre SS Co, Liverpool renamed Kingarth. 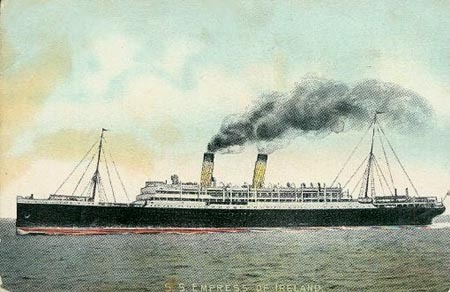 ex Frankmount, 1915 purchased from Palace Shipping Co. renamed Medora, 1918 torpedoed and sunk off Mull of Galloway. 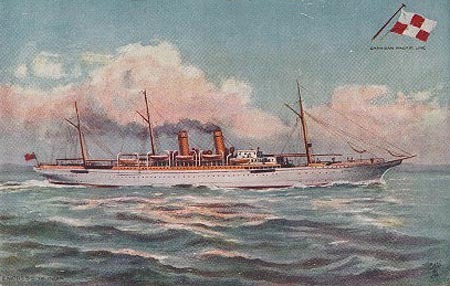 ex-Hackness, 1916 purchased from Pyman Bros., London renamed Miniota, 1917 torpedoed and sunk off Start Point. 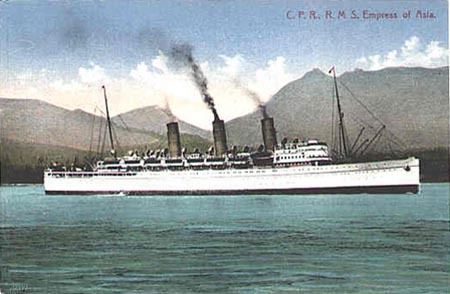 1931 owned jointly by CP and Union SS Co. of New Zealand and operated as Canadian Australasian Line, 1940 mined and sunk off New Zealand. 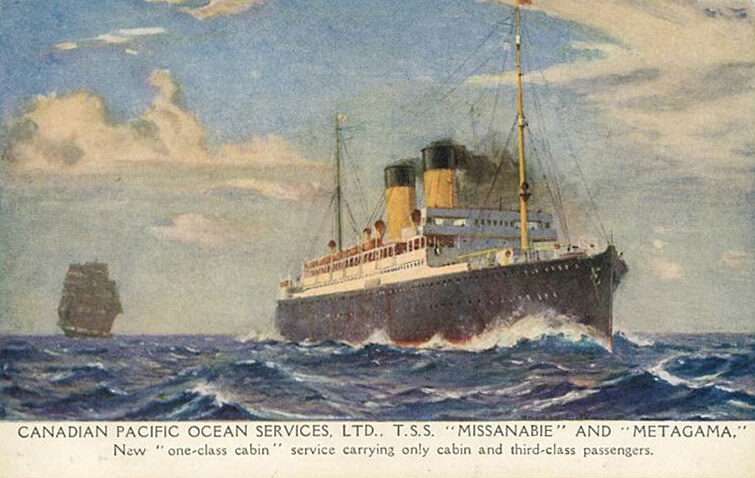 1918 purchased from Century Shipping Co, 1927 sold to Turnbull Coal & Shipping Co, renamed Hamdale. 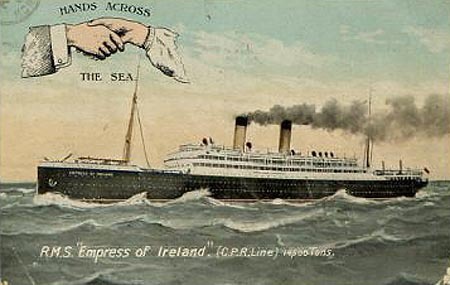 1918 torpedoed and sunk off Kinsale, Ireland. 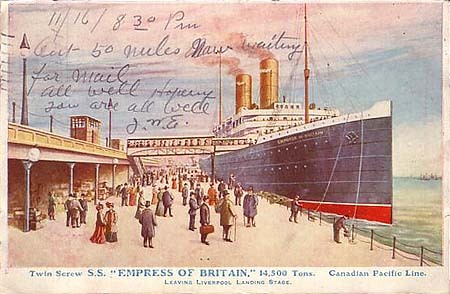 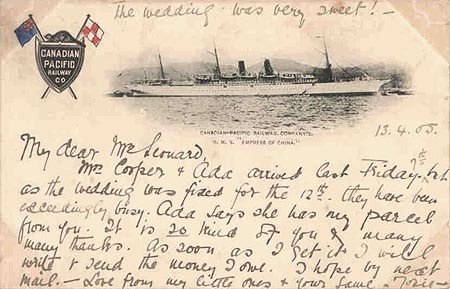 Postcard of Missanabie on war service - she was lost in 1918.